Putting your things in long term storage? Learn how to prepare them. If you are planning to store some or all of your belongings in long term storage, whether in a Las Vegas storage facility or anywhere else, it’s a good idea to take the time to prepare them properly. 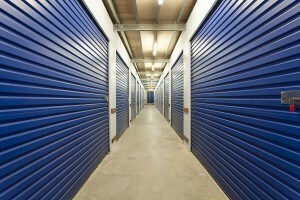 Temperature control is one of the most important features to look for when selecting a storage facility. You might think, “my furniture doesn’t care what the temperature is”, but wood furniture does adjust to moisture levels by expanding and contracting, boxes can get soggy at high humidity and the truth is there are other things in the environment in that storage area that do care – molds, bacteria, bugs. Extreme temperature swings can cause wood to warp and boxes to buckle and humidity can do a lot of damage. In order to minimize the effects of temperature changes and humidity, choose a storage facility that keeps the temperature between 55 and 80 degrees. This way, shifts in temperature and humidity won’t cause your wood items to warp, your musical instruments to rust or linens and clothing to acquire moisture stains or mold spots. A climate controlled unit will help prevent mold and bacteria from infiltrating and damaging your stored boxes and furniture. Like most things made of organic materials, stored clothing can age and break down over time, especially if it’s not stored properly. It is best to hang your clothing instead of leaving it folded up in a box or suitcase. The folds can cause stress tears in clothing material. If you can’t hang all of your clothes and have to resort to cardboard containers, try to select boxes that are free of moisture to prevent the growth of mildew and dark spots on your garments. Never place these boxes directly onto concrete floors as the slab can hold moisture and transmit it right into the boxes. When packing furniture, it’s important to reduce the possibility of breakage by disassembling furniture if you can. Find the pieces that are not permanently hinged onto the fixtures and remove them. Store all of the screws and nuts in a bag and label it so that they can be easily accessed when you are ready to reassemble the furniture. Furniture made of wood should be polished or sprayed with oil so that it does not dry out during its time in long-term storage. Furniture made of other material can be covered with packing paper or cloth that is securely taped in place to protect it from bumps and dings and to reduce dust and moisture. While we all have plastic bags lying around the house, they aren’t ideal for protecting items in long-term storage. If you are doing business with a moving and storage company, you’ll find that they might actually require that your items are packed in boxes for transport because they’ll be easier to move and store, and there will be less chance of your items being damaged in the move. Boxes can be stacked much more easily and are far sturdier. Boxes usually take up less storage space as well which will save you money on the space rent. Another reason to opt for boxes over bags is that sealed plastic bags trap humidity that can cause harmful mildew. However, don’t just throw loose items into boxes. Ornaments, glass, resin or ceramic items and all your dishes should be wrapped separately from one another, using packing paper, newspaper, linens, even paper plates between dishes. Pack reinforced sturdy boxes full and don’t leave gaps between the items. Fill in any spaces with paper or filler. This will prevent items from being banged together during the move or having a half-empty or broken box collapse during storage. Don’t forget to mark boxes “Fragile” if needed, so they can be moved and stored accordingly. Be sure to clearly label all your boxes so you know what’s in them and can find things quickly if you need to retrieve them from storage. If you plan on storing large appliances for a long period of time, you need to take some precautions. Defrost and clean your refrigerator and freezer to prevent the possibility of water damage, bacteria or mildew growth. If you transport these appliances, they should be tied down throughout the transport and then left slightly ajar once they arrive at the storage site. Drain your washing machine and tie the cords and hoses down to protect them. The interior of appliances can be wiped down with baking soda before they go into storage. The baking soda will help to keep them dry over the extended period of time. If you take some precautions and the time to properly prepare your items, they should survive long-term storage in good condition. If you need more tips or help with your storage project call Move 4 Less, your local Las Vegas moving and storage company.